Finding the right telephone system can be a daunting task. There are plenty of suppliers and plenty of products to choose from. In today’s marketplace you must choose a system that adds value to your business and a telephone system that can help to improve efficiencies and maybe even save your company money. Telephones Online Pty Ltd is an AVAYA partner. AVAYA is one of the world’s leading business phone system manufacturers. Create your most productive mobile workforce. Easily and cost-effectively increase communications capacity, adding enhanced capabilities as your business expands. Gain business and customer service efficiencies. Avaya IP Office phone system is easily customised to meet the communications needs of large business. 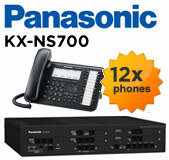 Go from basic telephony to the most sophisticated unified communications. Grow from five employees to 1,000 (at a single site). 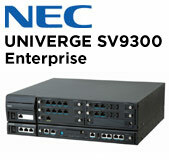 Network up to 32 locations. Use IP, digital, analog, or SIP—in any combination. With more than 266,000 systems installed worldwide, AVAYA IP Office phone system is the leader in unified communications for small and midsize and large businesses. AVAYA IP Office was awarded Unified Communications Product of the Year in 2011 from both TMC and Frost & Sullivan. Scalable: Basic call centre and voice messaging capabilities are built-in. With AVAYA IP Office, you can give your employees the communications tools they need to perform at their best. Avaya users control office communications using an IP phone, cell phone or laptop. Users receive all their messages—voice, email, and fax—in a single inbox, and are automatically notified of important messages. Set up conference calls on the fly, and have calls ring simultaneously on both mobile and desk phones. 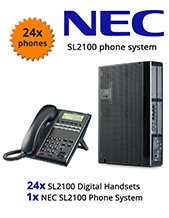 Whether you’re looking for a new Siemens telephone system or just an alternative supply of Siemens telephone system maintenance look no further. Telephones Online Pty Ltd has experience of installing the Siemens large telephone systems and provides a full help desk and onsite service contracts throughout the Australia. If you’re looking for an alternative supplier of Siemens telephone system maintenance contact us at your earliest convenience.. You won’t be disappointed. Telephones Online Pty Ltd is an Premium solutions partner for Siemens Enterprise Communications Phone Systems, one of the world’s leading business phone system manufacturers. Our decision to partner with Siemens Enterprise Communications was based on the knowledge that 75% of all Global 500 companies use Siemens Enterprise Communications Business Phone Systems and Communication solutions. Siemens Enterprise Communications has an outstanding record of developing business phone systems, unified communications and telephony solutions for businesses large and small. 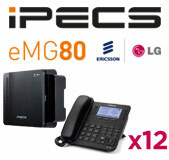 At Telephones Online Pty Ltd, we know by recommending and installing Siemens Enterprise Communications Phone Systems and Unified communication solutions we can provide superior telephony solutions, customer service and technical support levels required for any companies – regardless of the size of the business organisation. Siemens Enterprise Communications recognises that every business has a different phone systems and communication need and a one size fits all approach is not possible. The Siemens Enterprise Communications modular approach to Business Phone Systems means that you can add functionality and choose from a vast range of applications and features as and as your business communication needs grow. "Telephones Online Pty Ltd customer service and technical expertise ensures your Enterprise Business phone system and communication solution will receive unrivalled support." Contact Telephones Online Pty Ltd to request more information or arrange an onsite demonstration on the award winning range of AVAYA IP Office or Siemens Enterprise Communications Business Phone Systems.